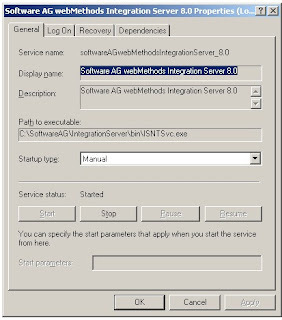 Have you ever had that annoying issue when your server started up and the LOCKFILE still existed in the webMethods folder? I’ve created a small script for windows which tackles this issue. The name entered behind Service name is the name you need to enter for this variable. Variable “location” is the location of the LOCKFILE, enter the full path. Delete the LOCKFILE and start the service. 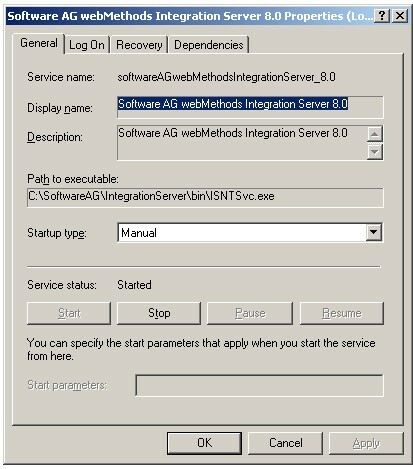 To use this script, create a scheduled task which is triggered on server startup.